I don’t have sweets around very often, but when I do, I prefer a plain baked crustless cheesecake, strawberry rhubarb pie or shortbread cookies. Fortunately the latter does not take a lot of fuss to bake from scratch. 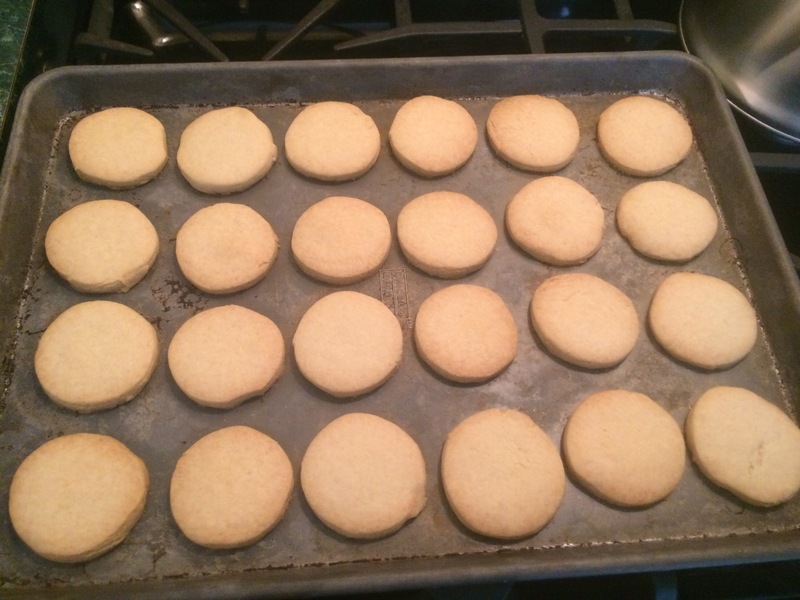 The basic Scottish Shortbread (shout out to my ancestors!) is a mildly sweet, buttery cookie, perfect for dipping in one’s tea, or a tall glass of ice cold milk! 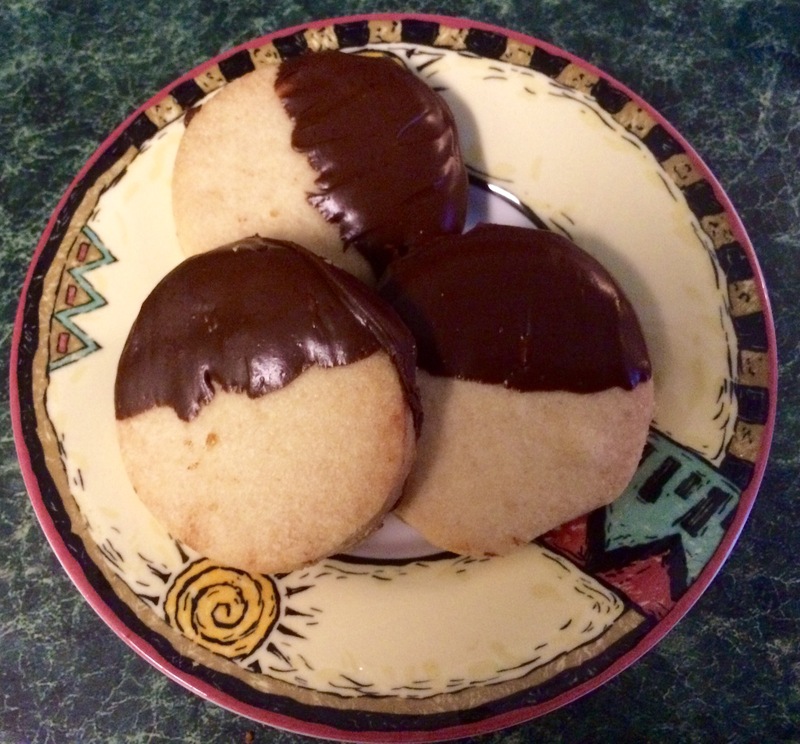 Some recipes will have you fussing with unsalted butter, adding salt separately along with other ingredients like powdered sugar and vanilla, but I like to keep my shortbreads simple, except for maybe a bit of chocolate. This is optional though. If you’re not into chocolate (I’m not sure I can trust you! JK!!!) 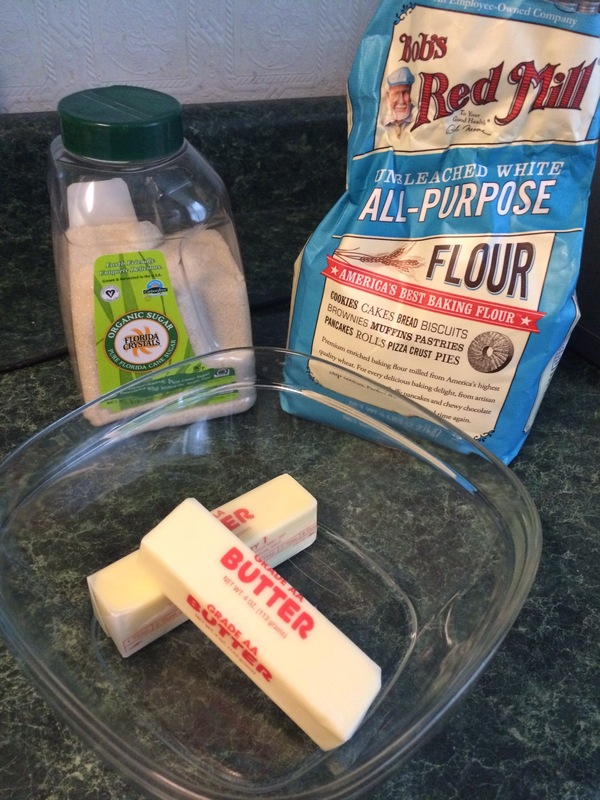 you can add a bit more sweetness to your cookies by sprinkling the tops with sugar before you bake them. Preheat your oven to 325 degrees F. Cream the sugar and butter together until well blended. Add the flour a 1/2 cup at a time blending to ensure that the dry is well incorporated into the dough. 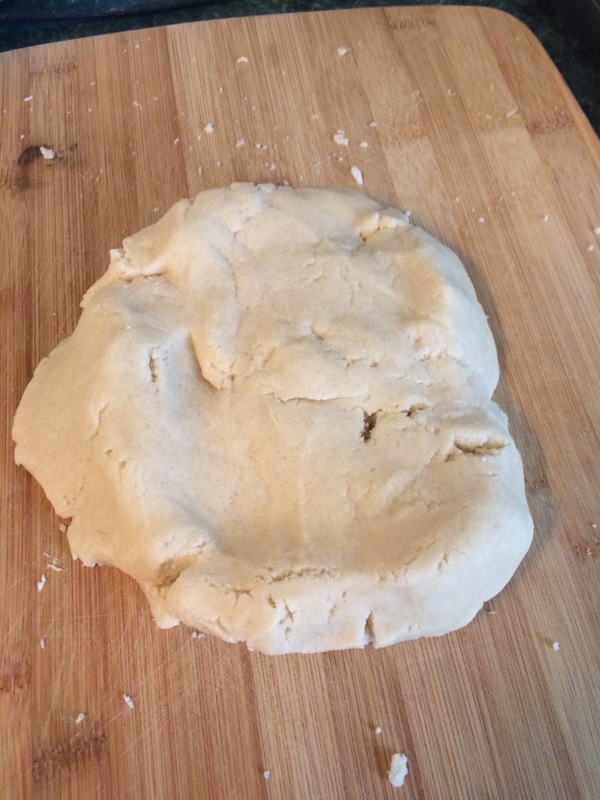 Turn out onto a flat surface and kneed the dough for a few minutes so that it is smooth enough to roll out (it has a consistency of pie crust). 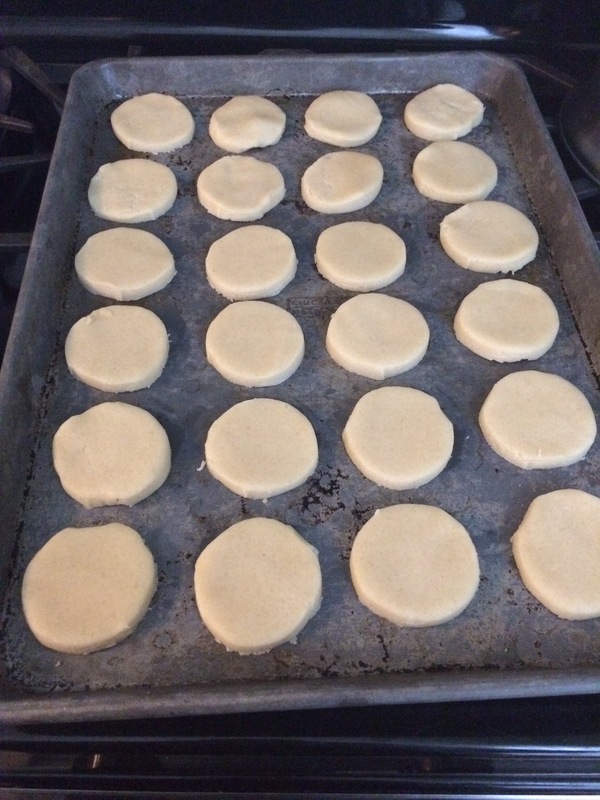 Roll to 1/4 inch thickness and cut your cookies in your desired shapes, placing on an UNgreased cookie sheet. 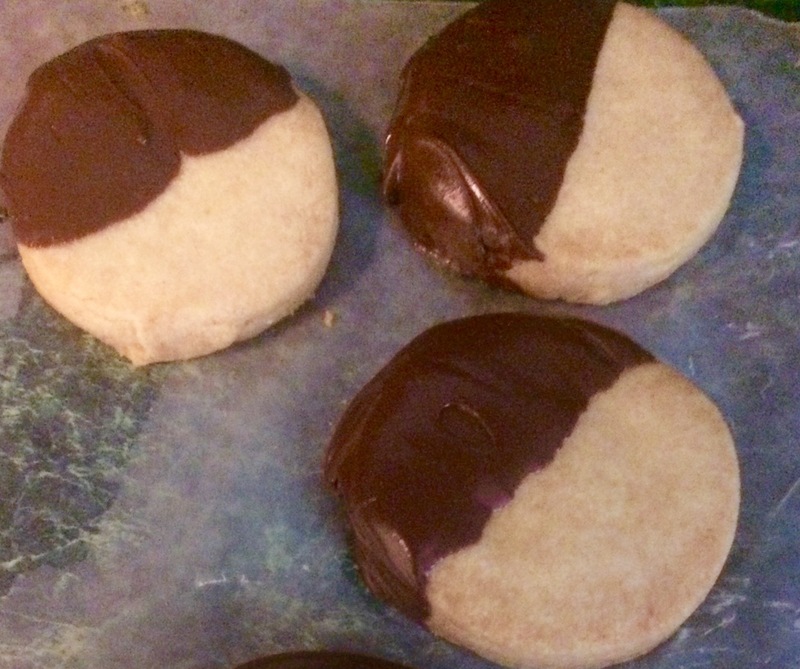 These cookies don’t spread or expand in size so you can place them fairly close together. 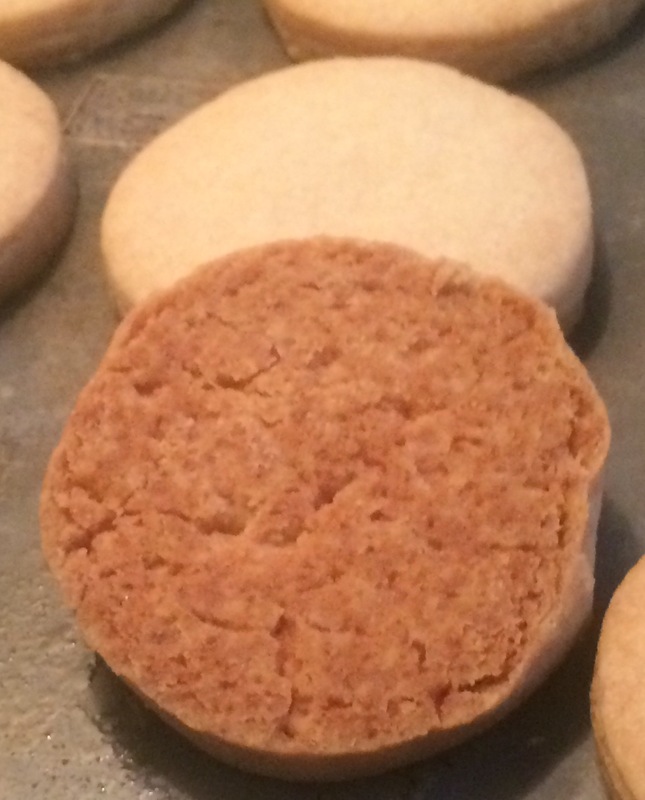 This recipe yields about 2 dozen 2 inch rounds. You can also cut them into “finger” shapes if you prefer. Put in the oven, set your timer for 25 minutes (give or take a few – it’s always a good idea calibrate your oven’s cooking time the first time to try a new recipe.) 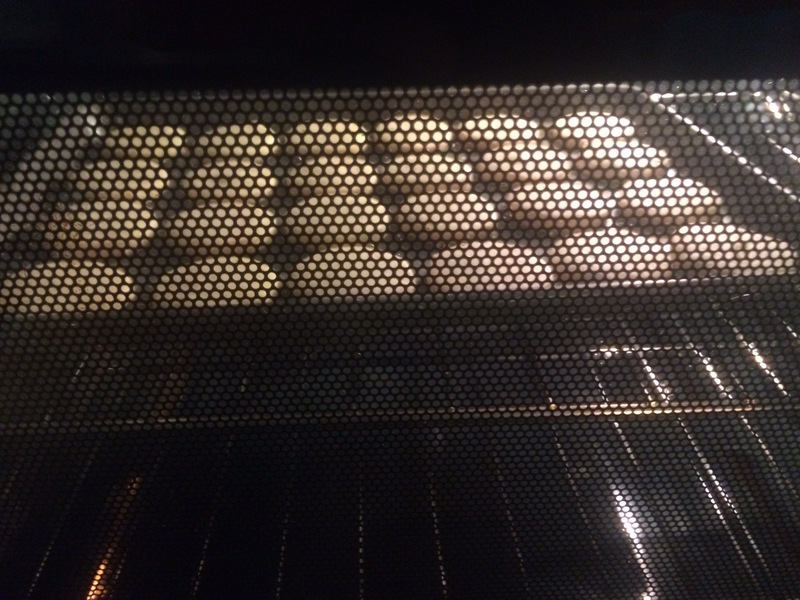 The tops of your cookies will be a pale golden brown and the bottoms will be a darker golden hue. 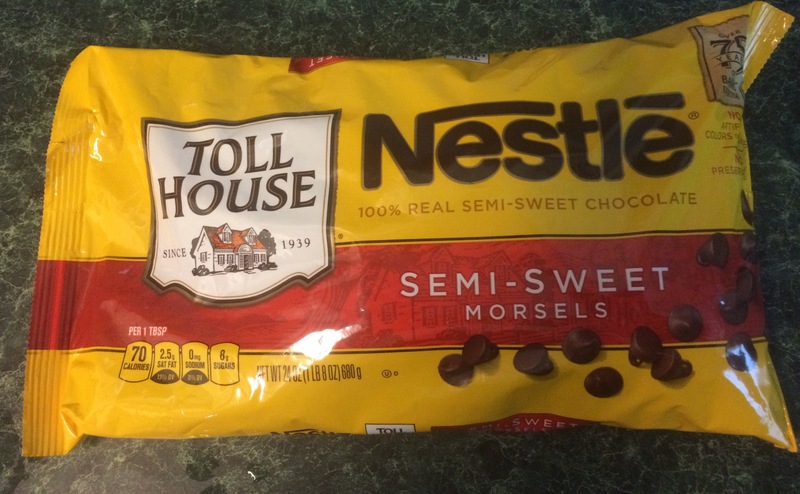 While your cookies are cooling melt semI-sweet chocolate chips according to the package instructions. I like to use a cup or a short drinking glass in the microwave to make dipping easier. Take care not to burn the chocolate (a lesson learned from personal experience! 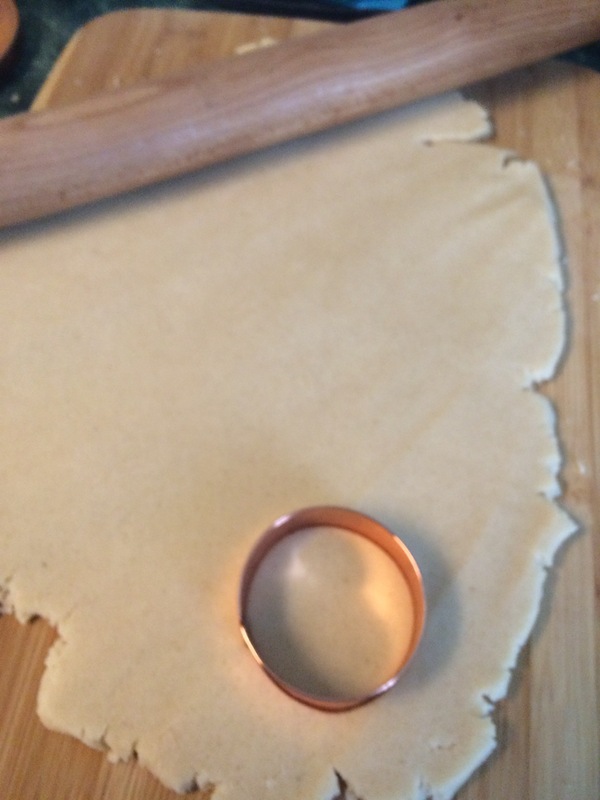 ).Dip your cookies halfway and place on waxed paper to cool. I had thought about doing a nice plated view for you, but I was afraid they might not last that long…so here they are! Enjoy!!! Happy Sunday! I certainly did not expect this week’s Shi Sai to make sense, the week was rather nonsensical, but in an odd turn of the pen it actually does. What a strange, unsettling time it has been for so many in our world. In my corner of it there were incredible highs and inconsolable lows. And through it all, a stream of silver lining weaved its way to my heart giving me hope. I have hope because I was able to witness a band of underdogs finally tasting victory! And it was just as sweet, I’m betting even sweeter than they imagined it would be. 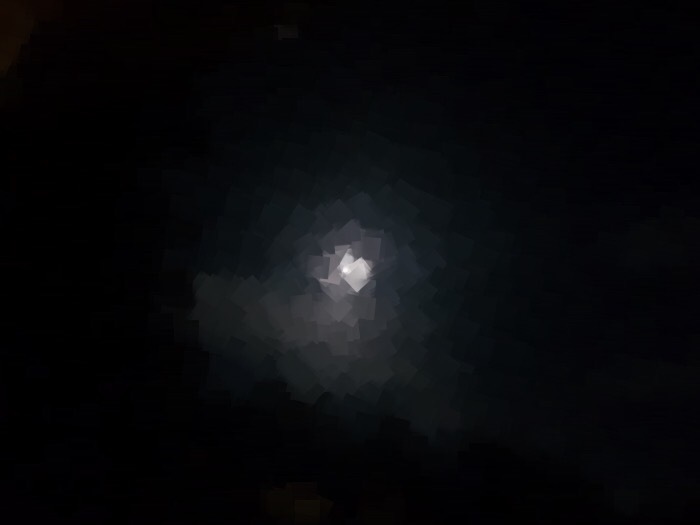 I have hope because even in the face of frightening uncertainty I still had busy today’s demanding my attention…bright sunrises and a fat, full heart-shaped moon that kept me grounded in the present moment. There where fragrant blooms, tasty kitchen creations and victories to be savored. I have hope because I am finding that even in the midst of calamity, often of our own doing, more and more people are coming to their senses, realizing how naked the emperors are. Yes, there is hope for us all yet! Sweet daydreams to you as always and Happy Sunday! Let me see your happy faces! 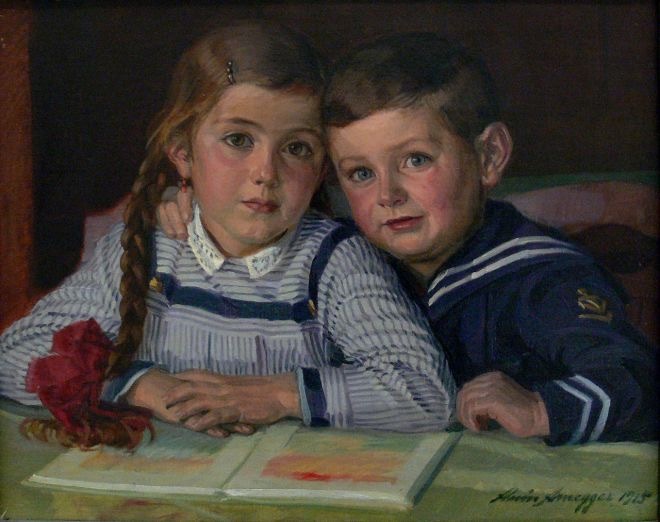 “Let me see your happy faces,”the artist was clearly frustrated with his subjects. Never had he met such disagreeable children. Behind him their mother sat in the corner of the parlor sipping tea, her pinkie finger raised perfectly. She was clearly apathetic to the artist’s plight, sighing incessantly from boredom. When her tea grew cold she bloviated, “Come now children, smile for mommy. Chocolates for each of you when we finish.” The two sulked, barely complying. Hours later, when the artist presented the mother with the portrait, she tossed his fee on the table without even the courtesy of a “thank you”. Decades later, these children grew up to become dreadful adults. The girl is now a self-absorbed shrew who spends her time on perpetual holiday amongst the elite, and the boy? Well, I heard that he is running for president. 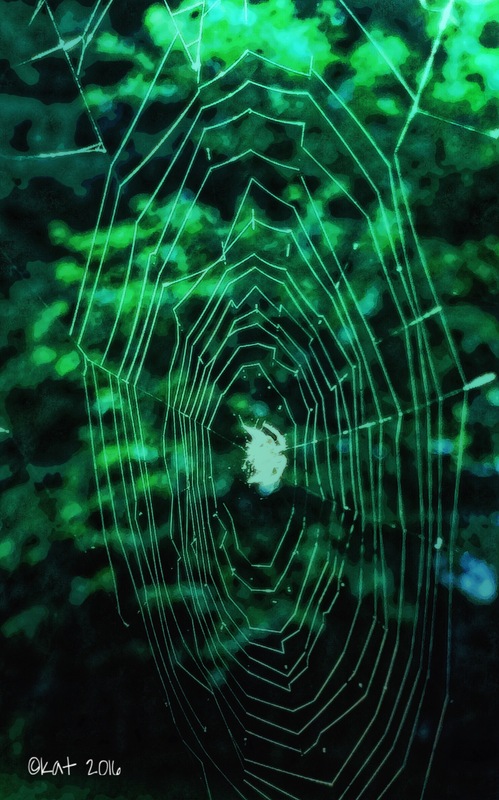 For Jane Dougherty’s Microfiction Challenge #1. I am afraid that life and work limited my writing time last week. But this half written story begged a finish, even if it is a bit late to the party. There is already another wonderful prompt waiting to inspire. 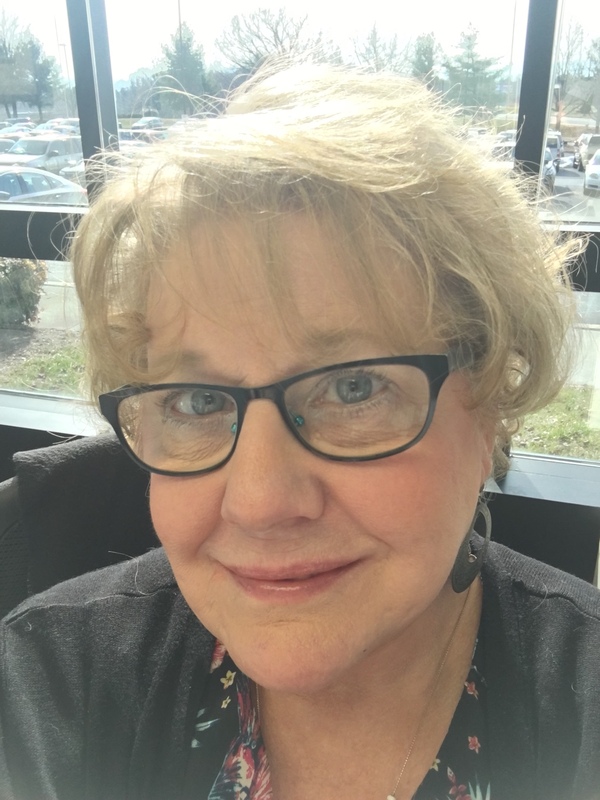 Be sure to visit Jane’s Blog for a good read or to enter one of her challenges! The running began quite benignly, I heard, starting with one, then two, then more and more, no end in sight, no one knew why or what for, but on they surged. The first eventually plummeted into the sea, followed by the others, one by one they disappeared into the blue, never again to be seen. 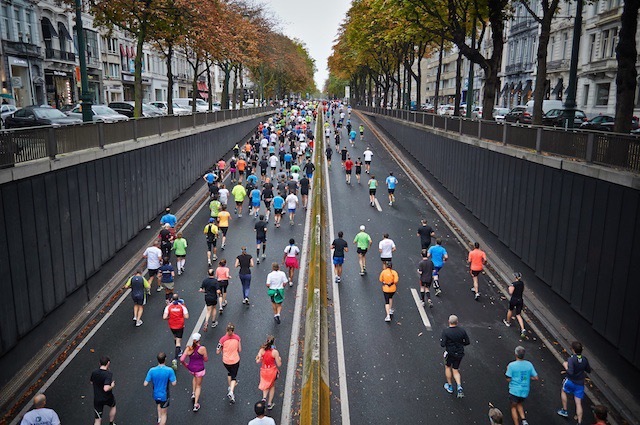 The moral of this sad tale is simply this, if you see a crowd running willy nilly, stay put…or consider running the other way, for it is wise to know, at the very least, what you’re running from; the crowd does not always know the way. A three line tale for Sonya of Only 100 Words weekly challenge based on the photo above (and certain disturbing news of the day).